2016 first big doping case is here. The Swedish newspaper Expressen revealed that the World champion Abeba Aregawi was tested positive to an anti-doping test. Both the Swedish federation and IAAF confirmed the positivity and they also announced that the athlete is banned until the B-sample analysis. The test should have beeen carried out in Addis Abeba in the half of January and it seems not to be the only positivity emerged from the analysis campaign in Ethiopia. 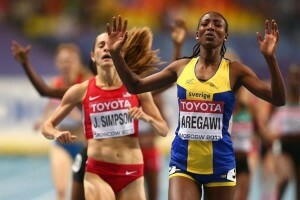 Aregawi changed allegiance in 2012 passing from the Ethiopian to the Swedish one. In 2014 she won the world title of 1500m indoor in Sopot whereas the previous year she became world champion on the same distance, but outdoor, in Moscow.